Being truly independently-owned has its perks, especially for you. Our freedom to source the highest quality products from around the world, means we can recommend the best products for your eyes. We love frames, but we love lenses more. That’s because lenses determine how clearly and comfortably you’ll see. The truth is, there are vast differences in lens technology, quality and performance that you just can’t see until you experience them. As independently-owned optometrists, we have the in-depth knowledge to enhance your vision with the latest lens advancements as well as access to the widest range of lenses. The benefit to you? Clearer, more natural vision. Better eye protection. And greater visual comfort from your everyday lenses and those purpose-built for work, outdoors, sport and more. We invite you to come and see what’s new in lenses to benefit your vision and lifestyle. We stock quality eyewear that suits all tastes and styles. At each of our 5 stores, you have access to popular fashion brands and our expert advice to help you find the right frame for your face shape and lifestyle. Just like in our extensive eye consultation, we drill down to what your needs are when helping you choose a frame. We understand that a frame is more than just an accessory. It becomes a part of your identity, so we take the time to get to know what style truly resonates with you. Believe it or not, there is a science to finding the right fit. We consider a range of factors including your face shape, colour preference, frame depth, frame width, contours and quality. We’ll then recommend a frame that brings out your best features and complements the various ways you use your eyes in everyday life. We invite you to come in and let us assist you in choosing your next pair. Did you know that your eyes are 10 times more sensitive to UV rays than your skin? 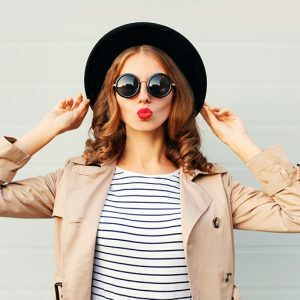 Living in Australia, we are exposed to some of the highest levels of UV radiation in the world, making sunglasses much more than a fashion accessory. Like with everyday lenses, sunglass lenses are not all created equal. We only stock sunglasses that meet a minimum of category 2 level of UV and sun glare protection. You can now enjoy the convenience of sunglasses in your prescription. Switch between your everyday pair of glasses and sunglasses with ease, without having to think about contact lenses or clip-on accessories. Recommending the most appropriate sunglass protection for your eyes is a key part of our holistic eye care service. With contact lenses, the world is your oyster. Now with the latest in lens technologies, almost everyone who wears glasses can enjoy the convenience and freedom that contact lenses offer. 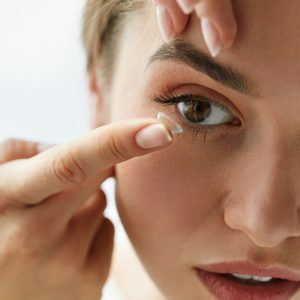 In a contact lens consultation, we will assess your eligibility and recommend a high-quality contact lens solution that suits your lifestyle and purposes. Don’t let your vision hold you back from an active lifestyle. We invite you to come in for a contact lens assessment today. We stock prescription safety eyewear designed to shield your eyes from hazardous liquids or particles in your work environment. In contrast to the traditionally bulky and awkward safety eyewear of yesterday, our modern range of protective eyewear will ensure you look good while also enjoying a high level of protection. Come in to our Sale and Epping stores to browse our range of safety eyewear today. 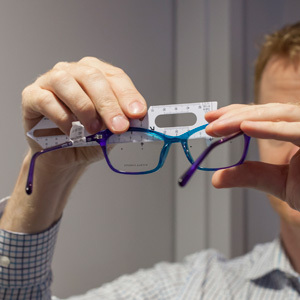 We believe it’s our job to help you maximise your optical extras. You can use these towards prescription frames, lenses, prescription sunglasses and contact lenses. We’ll discuss the most relevant way for you to spend your extras, whether you want something to complement your existing pair or find a totally new look. We have the facilities to help you claim your optical benefits on the spot and accept all health funds.